Dr. Manu Sharma is a renowned Pediatrician in Sector-37, Chandigarh. He has over 3 years of experience as a Pediatrician. He has done MD - Paediatrics. He is currently practising at Child Health Care Clinc and Vaccination Center in Sector-37, Chandigarh. Don?t wait in a queue, book an instant appointment online with Dr. Manu Sharma on Lybrate.com. Lybrate.com has a nexus of the most experienced Pediatricians in India. You will find Pediatricians with more than 36 years of experience on Lybrate.com. 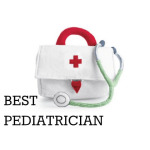 Find the best Pediatricians online in Chandigarh. View the profile of medical specialists and their reviews from other patients to make an informed decision. He did my child's quad screen. I owe him a big thanks for being so polite. As someone I knew, consulted Dr Manu Sharma and they referred us. Even though it's been more than a year, still if I sometimes feel pain and call him, he still takes my call in case of any emergency. My baby son was suffering from riclets due to which he was facing several issues. I took him to Dr Manu. The way he treated my child was excellent , I owe him a big thank for this. Thanks to Dr Manu for his vaccination guidance. He never gets frustrated, even when I ask a number of queries. The Chikitsa Clinic was equipped with various facilities. My daughter is 4 months old and being both breast fed and bottle fed with formula milk as my milk is not sufficient for her. She is passing loose stools twice a day. Please suggest any syrup for proper digestion. Hi. Passing stools 2 times is absolutely normal for the age. If the consistency is loose from starting nothing to worry. If it has recently turned out to be loose then you can give a trial of probiotics for 5 to 7 days. Hlo meri normal delivery hui h mera baby abi 7 din k h or jb m usko feed krwati hu wo potty kr deta h bilkul patli pani jesi m ky kru. Or din m km se km 15 br potty kr deta h.muje cold b ho rha h kl se mere feed krwane se usko cold to ni hoga. Koi solution btao. Dear Lybrate User, Stool pattern for babies have a wide spectrum. If a baby doesn't pass stool for 3 days or he passed 10-12 times per day is normal. If the baby is passing stool every time he is having feed is normal. It will gradually settle down. So need not to worry. Yes the baby can have cold from the mother. The best way to prevent is to wear a face mask while feeding and caring the baby. Thanks. My son is 5 year's old he is often infected (viral) and complains of stomach pain regularly. Recent ultrasound confirms mesentronic lymph nodes between 6 mm to 12 mm on short axis in abdomen. Please advice me. Mesenteric lymphadenitis (enlarged lymph nodes) are not so uncommon in children. As far as your child is concerned size is small. First thing is to rule out infection / tb. Any history of tb contact? you can give him a trial of antibiotics for seven days. And can get a repeat usg for the size of lymph nodes. My grand daughter is not gaining height as per her age. She is 13 months old. What should I do? Kindly share her weight and height. Along with what she had consumed in the last three days. It will be helpful if you can mention her birth weight. I am 25 years old, I have abdomen tuberculosis. Currently I am taking course of medicine from last 5 months. Which type of food I have to taken? which type of exercises were best? which type of environment is best? First thing is too complete the course of tb medicines as per the dots protocol you should eat bland (less spicy) home made food. Take 3 meals a day with two snacks. Avoid tea coffee. There is no bar for exercises you should keep you environment clean. And most imp is stay happy. Hi, My 2 months old baby girl doesn't passes motion regularly. Usually she pass motion after 5-6 days, However she urinate normally after small intervals. Due to long gap in poop, she irritates and keep crying. As of now, she takes breastfeed only. When we consulted Pediatrician locally, he advised to feed small amount of sugar powder/Glucon D with Milk/Water, but doesn't see any significant difference with this. Please help on this. Also, Pls let me know what should I eat/drink in order to have baby motion regular. Stool problems are very common in infants. If a child passes 6-8 times per day or once in three days it is considered normal. You should give you daughter zinc syp and lactobaciilus sachets to regularise the stool habbits. My kid is 9 years old, still she making bedwetting in night. Is there any treatment for it, whom should I consult. Bed wetting can be primary or secondary. If primary it will resolve just ask her to go to toilet before sleep and not to take fluids after 8 pm. If secondary need to investigate. I have a small baby boy of 11 months old. What would be the diet I can give to keep healthy for my baby.? you can give him dal, khichadi, dal rice, roti mashed in dal, bannanas, finger foods, boiled potatoes etc restrict milk to 500 ml per day. Hi, I have stomach pain last long for nearly 3 months what is the reason? please advise. Kindly give a detailed review of your diets, any history of heart burns, get a heamogram and serum electrolytes done. Get a urine routine and culture done along with usg abdomen. My 2.5 yrs old boy is suffering from stomach ache and having gas all the time. He is not eating anything and vomiting if given medicines. He is also having mild fever and loose motions. If the child is bottle fed kindly stop. Give him ors and zinc 5 mg per kg once a day for 14 days. You can also add antacid.